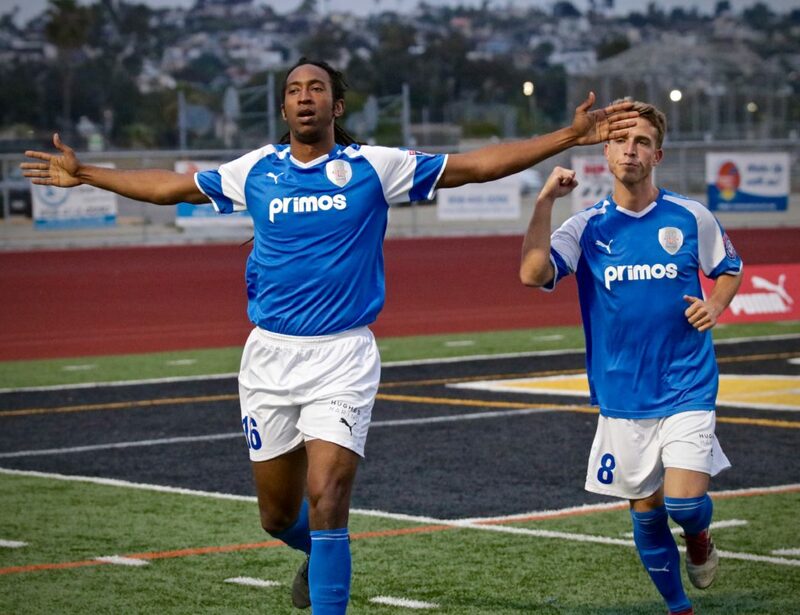 Whittier, CA – On a hazy night at Rio Hondo Stadium, ASC San Diego erased a 2-goal deficit in the final 20 minutes to win the NPSL Southwestern Conference Championship. Ziggy Korytoski’s men displayed drive, discipline, determination and plenty of passion as they scored three goals in an 8-minute span to clinch the division title. Golden State’s confidence looked justified, scoring quickly after the start of the 2nd half. William Baynham capitalized on a corner kick, heading it back to the far post in the 48th minute, and increasing the lead to 2-0. The score held for what seemed an eternity, until Korytoski’s halftime adjustments began taking effect. 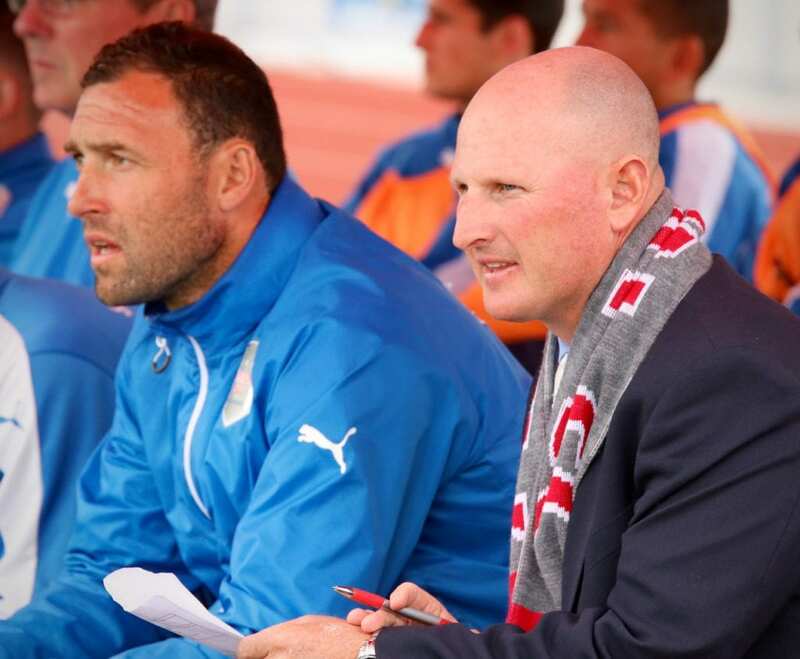 The 57th minute meant substitution time, as Garrett Heine and Mac Clarke checked into the game, and the red, white, and blue transformed into an attacking 4-4-2 formation. The shifts paid off as ASC broke through in the 70th minute, when a set piece was rewarded at the corner of the FCGS penalty box. Dallin Cutler’s service found the head of a streaking Amani Walker to cut Golden State’s lead in half. 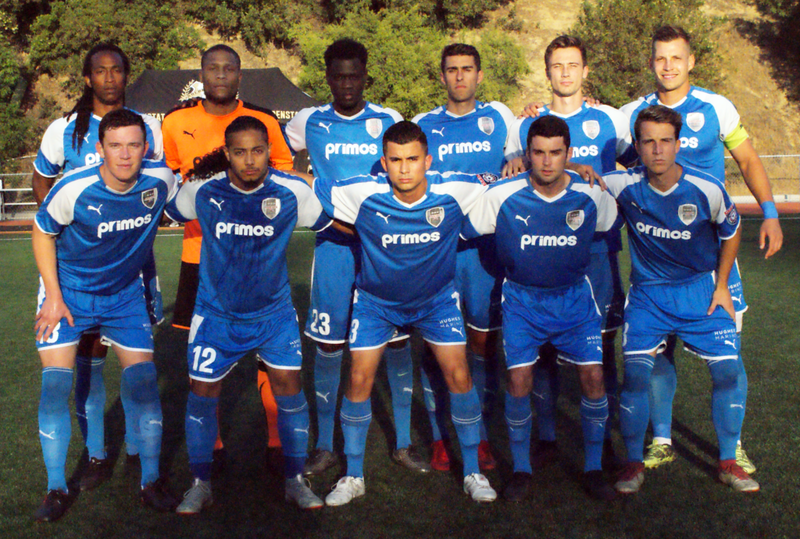 Six minutes later, Luis Cardona’s distribution split the last line and found Felipe Liborio at the left-edge of the box who equalized from a tight angle to the far post that left goalkeeper Kevin Marquez and Golden State stunned. ASC completed their championship comeback just 2 minutes later when Heine slipped Amani Walker again past the last defender who then beat a surprised Marquez for the game winning Goal. 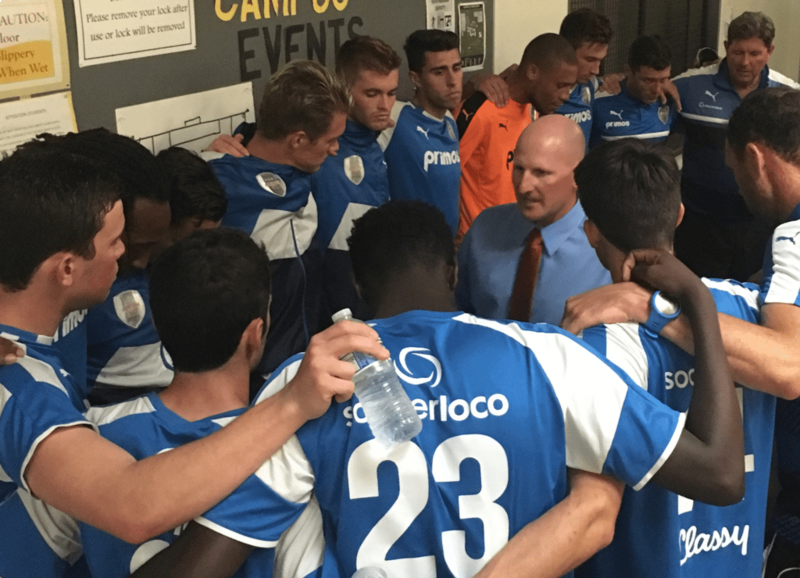 The stunning 8-minute sequence left the score at 3-2, with ASC maintaining their lead through the final whistle. San Diego should be very proud. 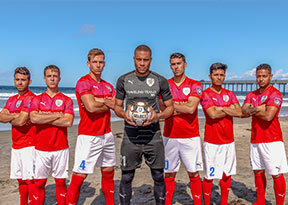 We have built a foundation to grow into something even bigger, better and stronger… But for now, bottom line is that San Diego has a winning professional soccer team! 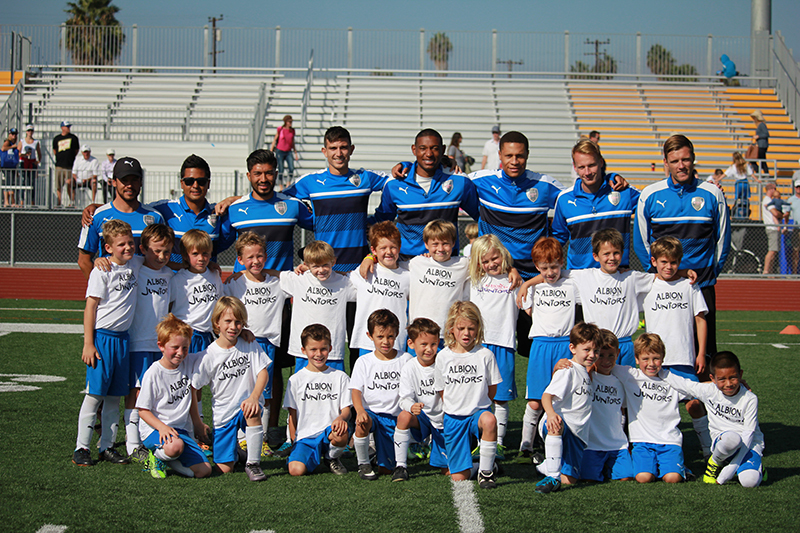 ASC San Diego, which has rebranded itself this season (we were formerly known as the Albion PROS), is the premier professional outdoor soccer club here in San Diego. 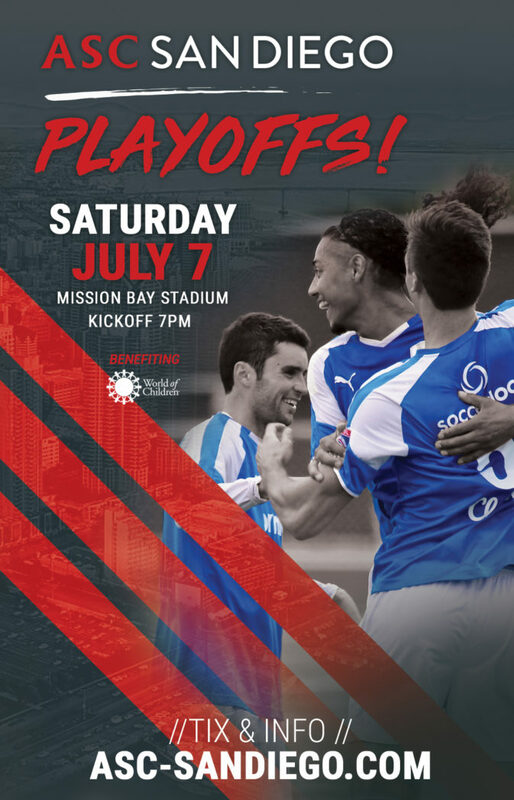 We can’t wait to kick off the NPSL postseason, on our quest for the 2018 NPSL National Championship, on Saturday, July 7 at Mission Bay Stadium. 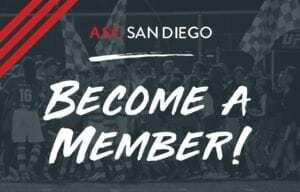 The match starts at 7 pm, and before the game, ASC San Diego will be hosting “Fan Appreciation Fest” with live music, clinics, free food and more. Whether you’re an ASC member who comes to all the games, or a first-timer looking to be part of something special, we hope you’ll join us. 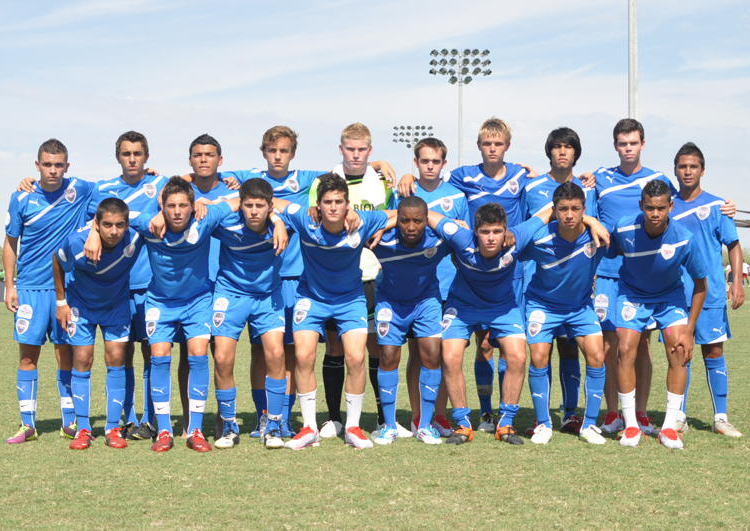 Tickets for this match are now on sale and can be purchased online at www.asc-sandiego.com.